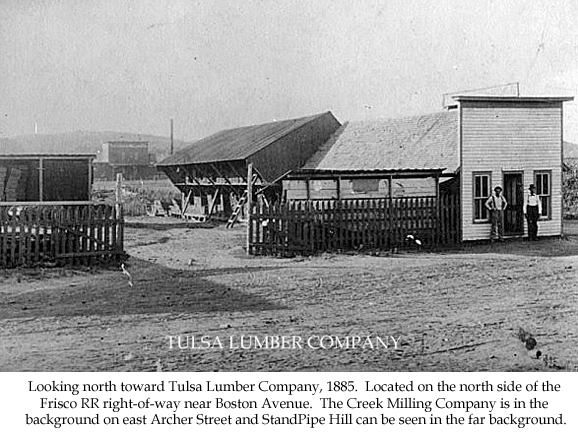 Trains and oil booms are what helped create some little communities in what is now West Tulsa. The trains carried oilfield workers and supplies to the oil fields. 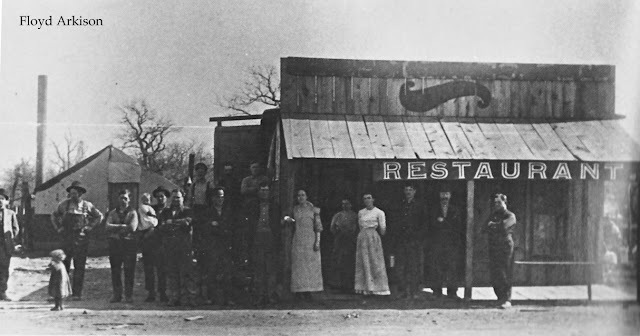 Red Fork, where the first strike occurred, was close enough to Tulsa that most workers came back on the train rather than stay there. The Glenn Fields, however, were far enough out that boom towns for these workers to live in shot up practically overnight. A little town called Praper consisted of a few railroad workers until the Glenn strike. Being the closest train depot to the Glenn Pool it virtually exploded and, by 1906 was home to hundreds of oilmen. The town changed its name just before statehood to Kiefer. 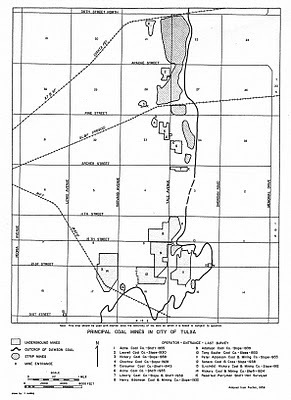 Another boomtown was Taneha, which was Creek for "oil under land". 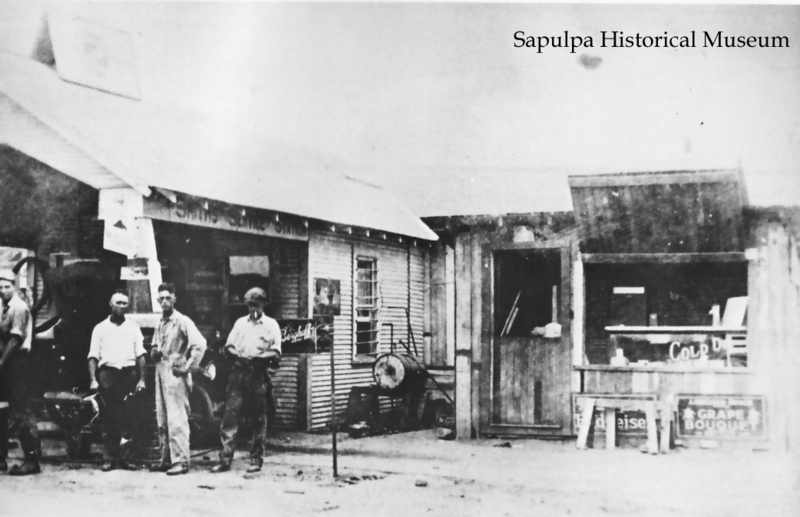 Located about four miles north of Sapulpa, Taneha was a typical rough and tough oil field community, one in which women did not go outside after dark. 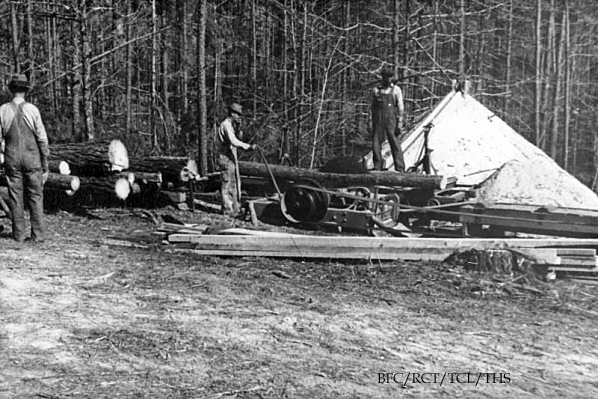 Structures were usually just wooden frames with clapboard sidings and tar paper roofs. 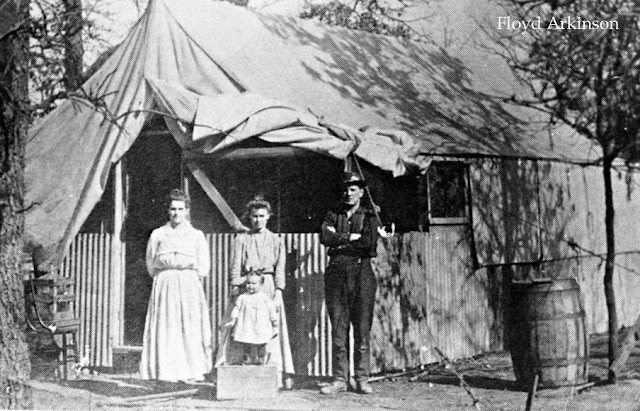 Taneha boasted a grocery store, hotel and boarding houses such as Elizabeth Winter's Boarding House (below). The Taneha Boarding House fed three shifts at each meal. 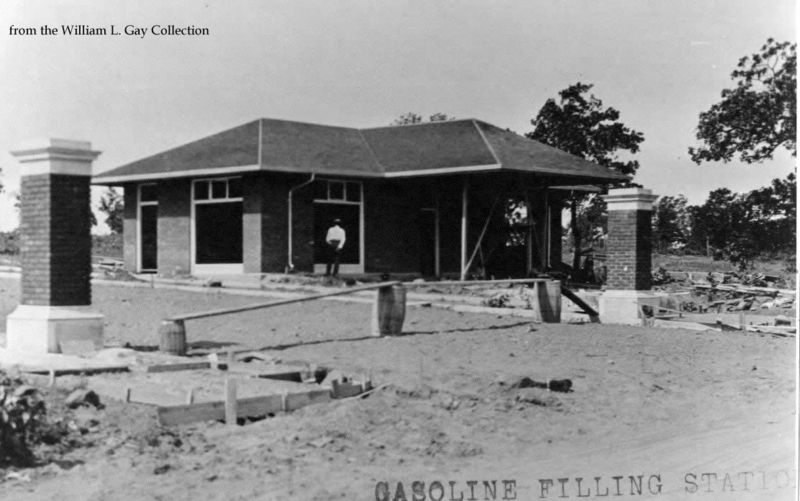 This was Sherman Smith's gasoline service station. 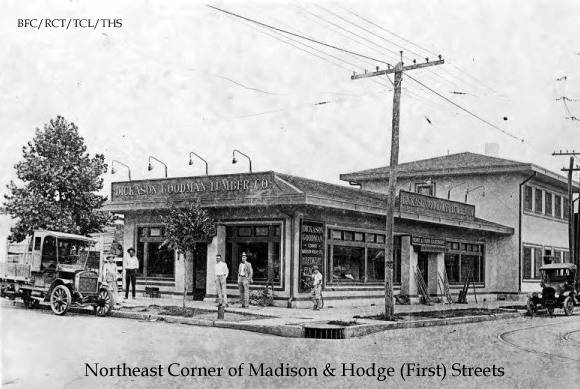 In 1909 a post office opened there and the town was re-named Bowden. 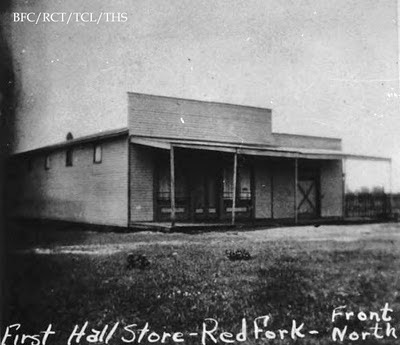 The post office remained until 1957. But that wasn't the end of the Taneha name. That same year, L.J. Weatherman platted a community a few miles north and east of Bowden called "Business Men's First Addition to Taneha". 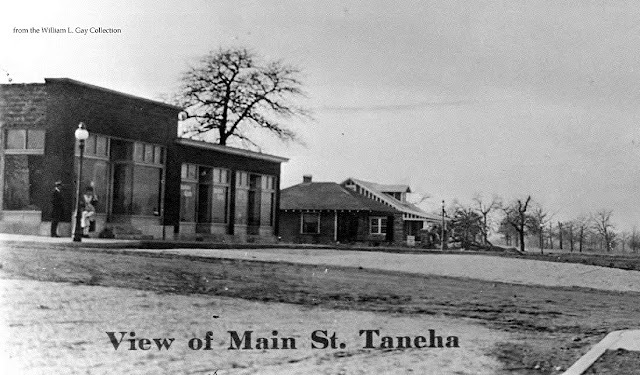 Six months later it was renamed New Taneha. 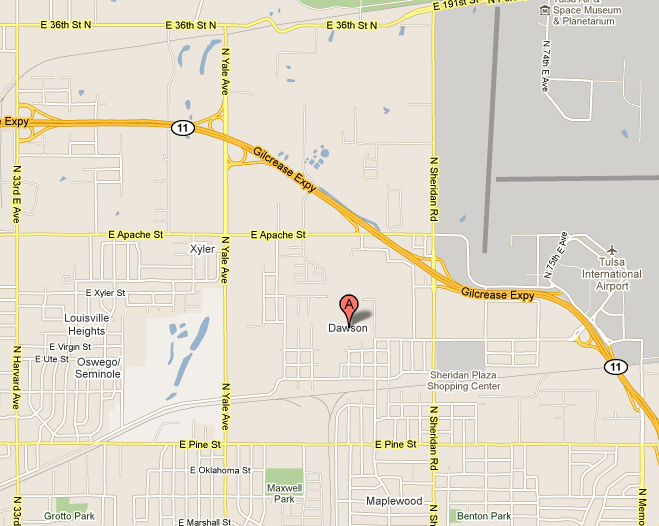 The land changed hands and was re platted several times then sold to O.C. 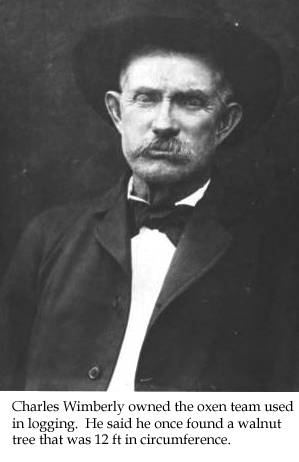 Graves in 1913. 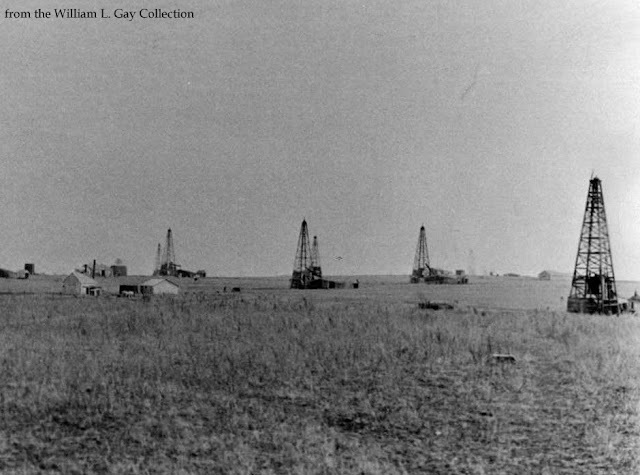 Graves, a speculator from St. Louis, began drilling for oil and soon oil derricks dotted the area. 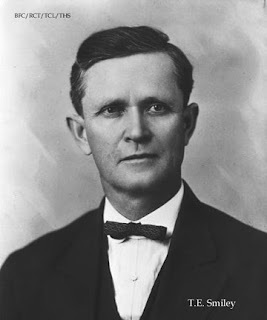 He filed plats for New Taneha in 1915 and, in 1918-1919 began an aggressive marketing campaign to gullible easterners, selling 25-foot lots and practically promising an oil well in every back yard. A Main Street was laid out..
and natural gas-fed street lamps sprouted from them. The entry into the neighborhood boasted brick pillars and matching canopied buildings on either side. 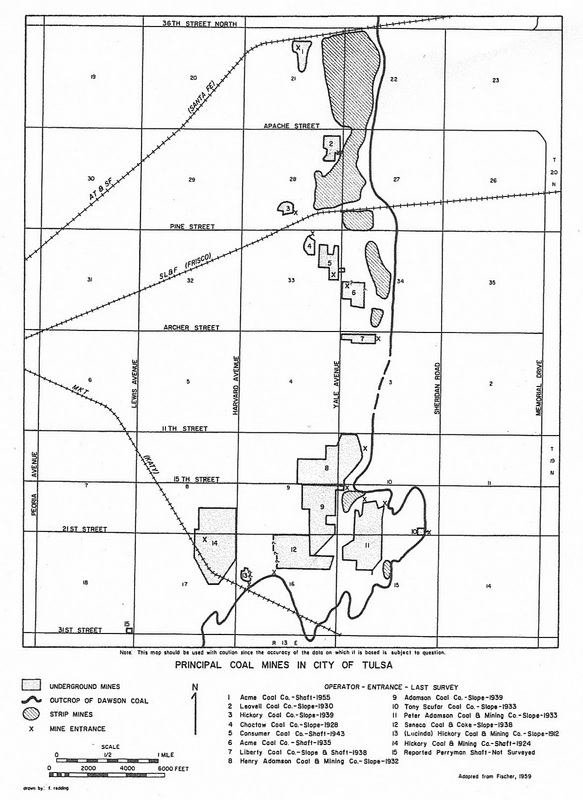 There isn't an abundance of information easily available on the coal mines that were once here in Tulsa. 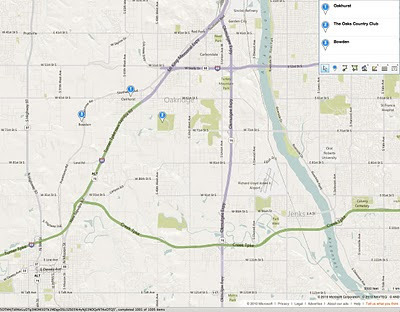 I have found maps, which are helpful and useful- provided you can read and understand them. 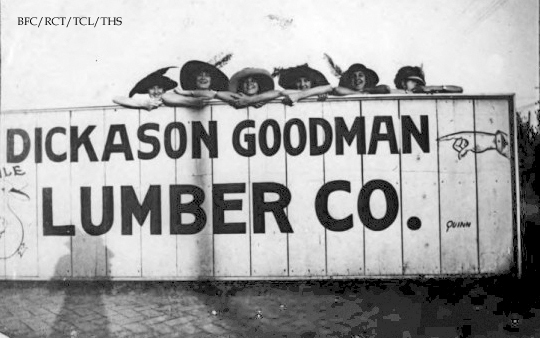 I have found recollections from former workers and one lone newspaper article from 1932. In it the reporter decided to see what the life of a miner was like and visited one of the mines on the "outskirts" of town. 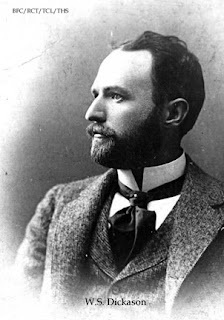 His last remark: "As we make our way back to the showers, I take off my hat to the miners and fervently confess to my guide that I'd rather see, than be one!" There were a lot of interesting photos taken for this newspaper article. 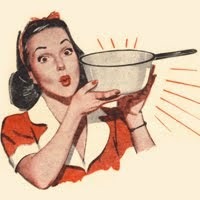 Unfortunately the xeroxed copies make them unusable to share here. 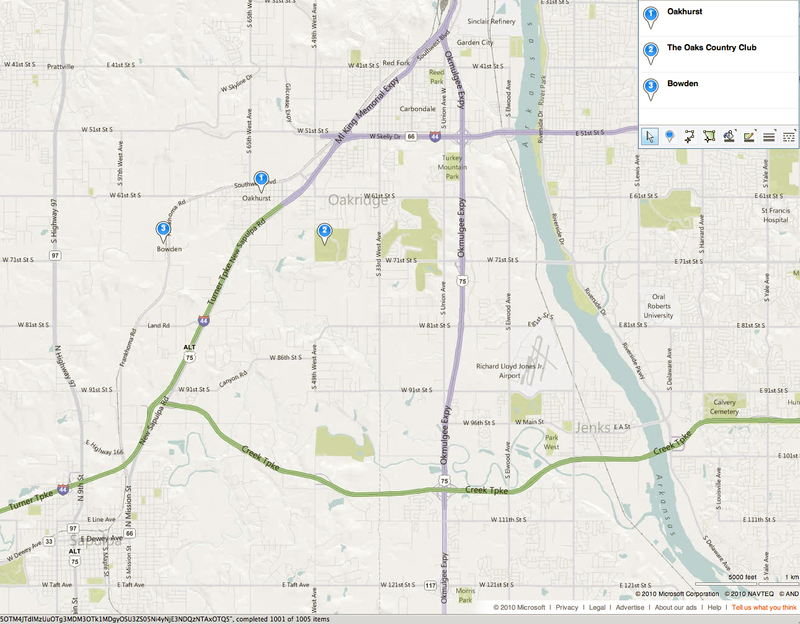 The other drawn maps are Sanborn Maps. 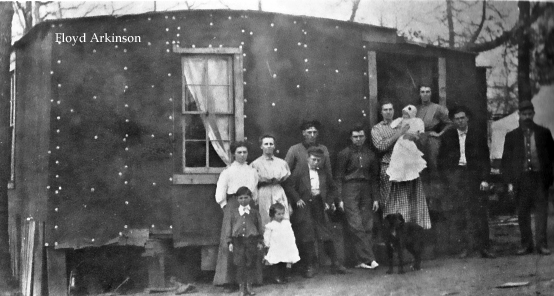 Dawson was the home of strip coal mining as well as a rock quarry. 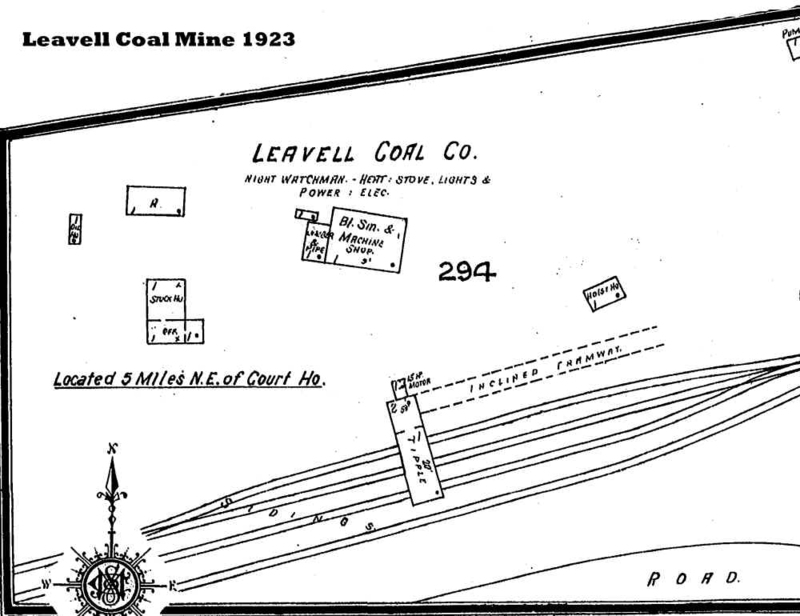 The Smith Brothers owned and operated the coal mine there as did Leavell Coal Company. 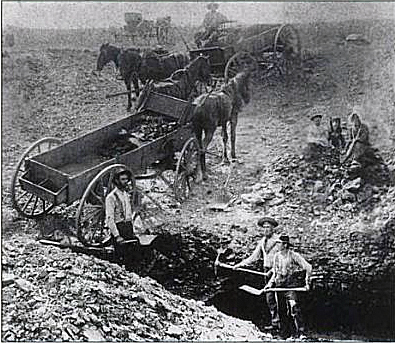 Since the Smith Brothers aren't on the above list, they were probably one of the first coal mines in the area. 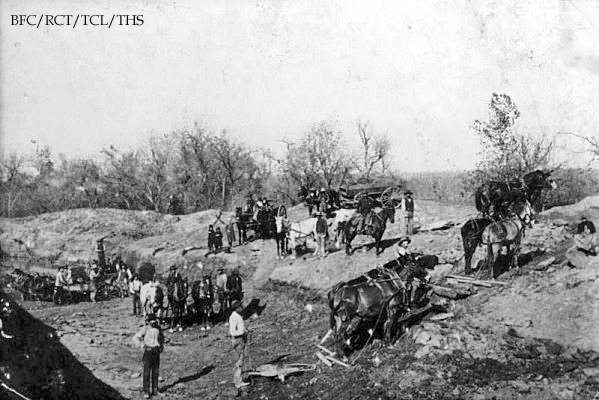 This is a photo of workers with the Smith's daughter on the bank. 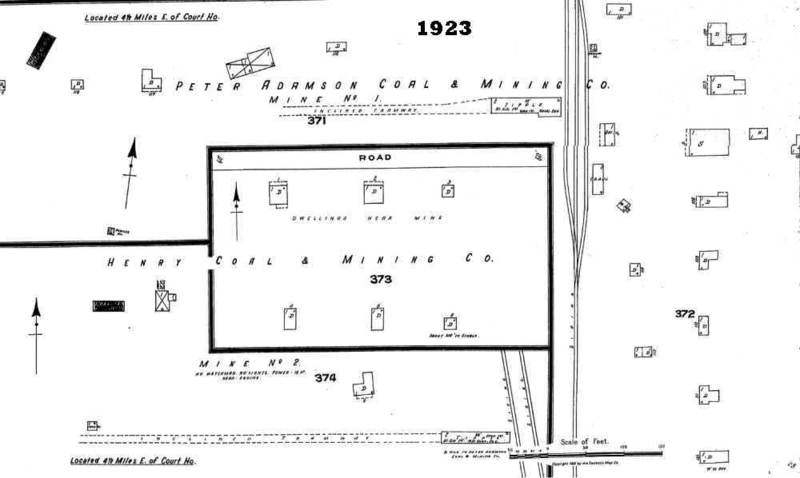 This was the Henry Adamson Coal & Mining Co. and the Adamson Coal Mine - located together south of 11th Street between Yale and Sheridan. 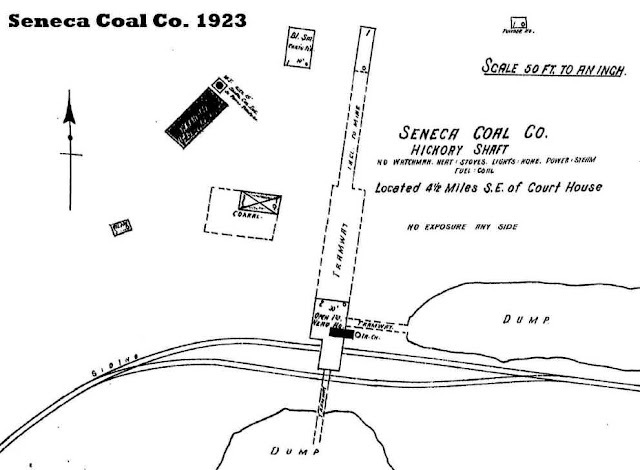 The Seneca Coal Mine was located on the land where Doctors Hospital now stands on Harvard. When I was researching the Harvard Apartments Mystery I learned that, in the late 1940's Coca Cola was interested in building a plant "out there" but didn't because of the instability from the mines. 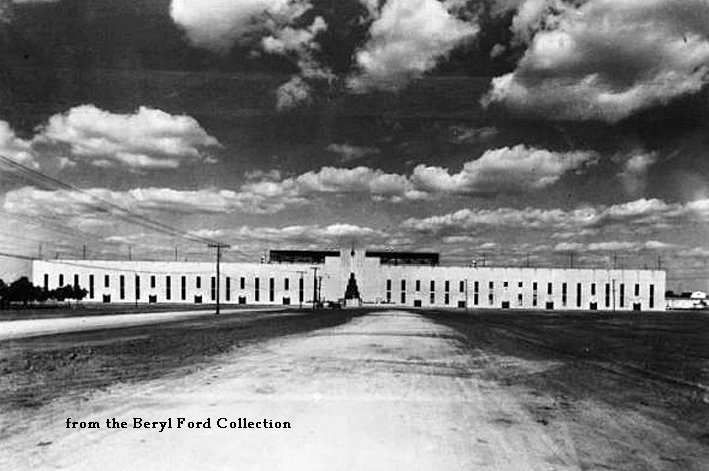 And years later, when the hospital was built, it was noted that in one of the elevators you could still smell the coal. 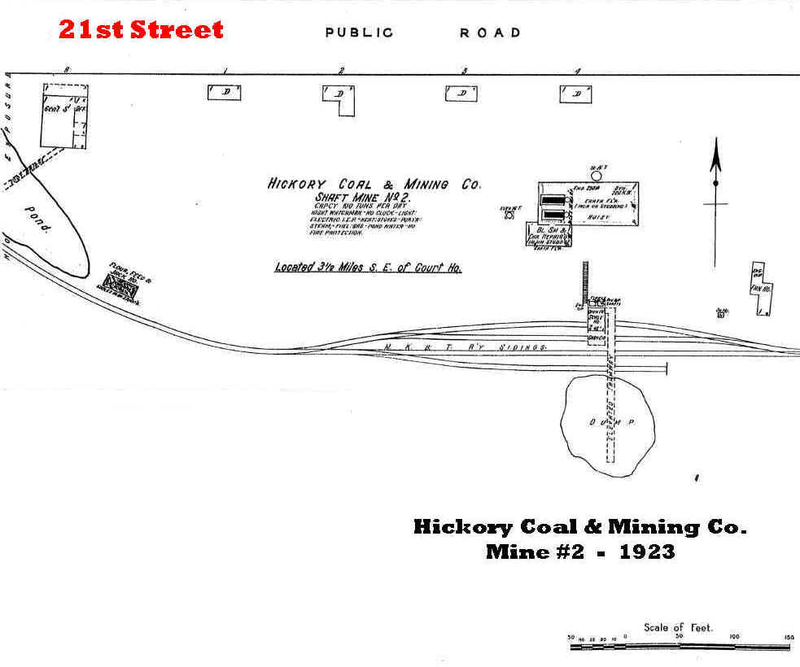 Next to the Seneca Coal Mine was Hickory Coal Mine #2 aka Lucinda. 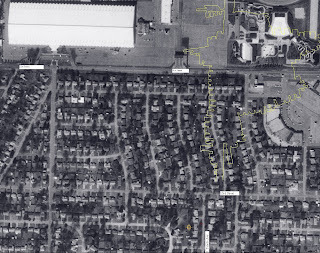 This little slope was located on the south side of 21st, just east of (what would become) the Broken Arrow Expressway. 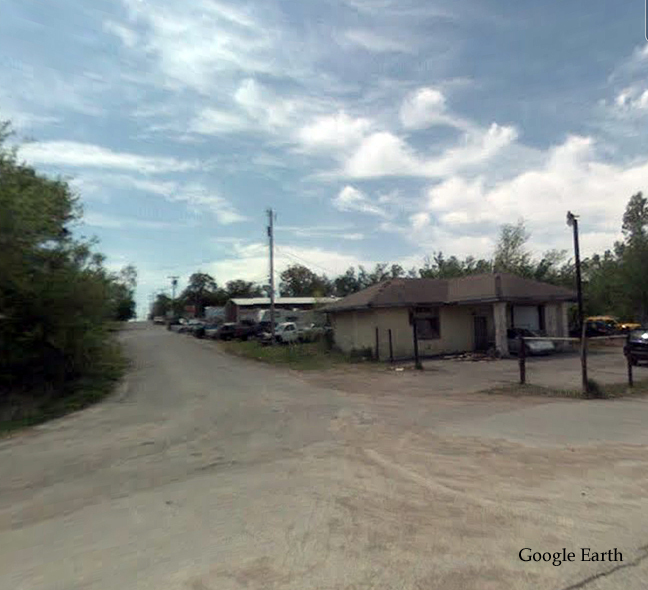 This was the mine the reporter visited in the story I mentioned above. 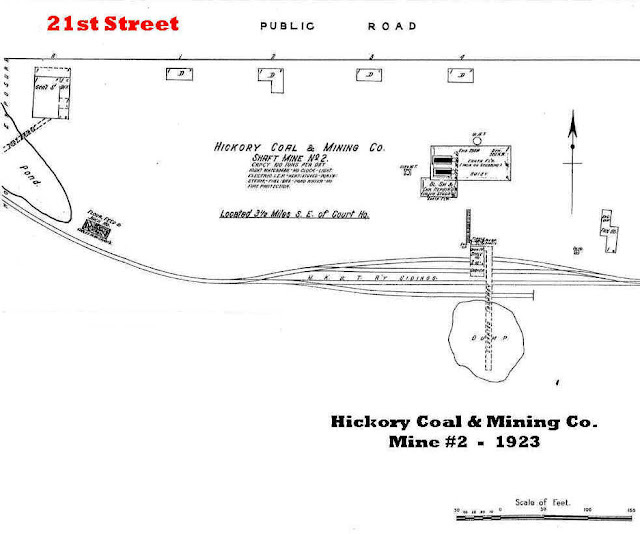 Frank and William Podpecham started Hickory Coal Co here in 1929. 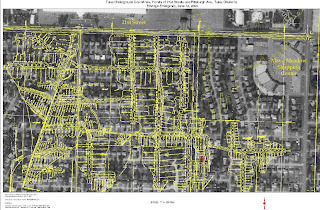 You can see in the map that the company general store was at the west end of the complex, as you would now go under the expressway bridge. 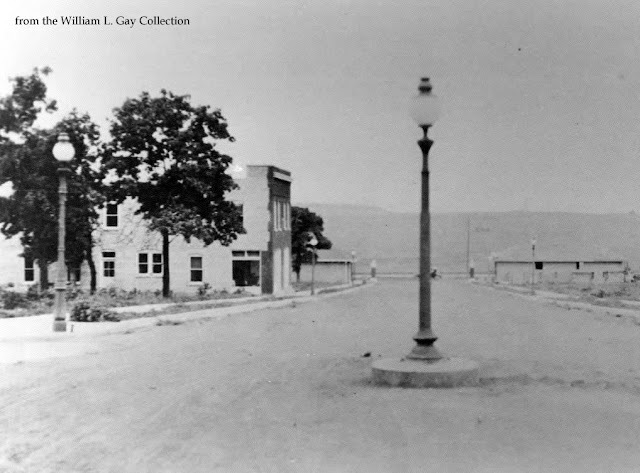 The miners, who lived in a 'tent city' of sorts, had tokens that they would spend at these stores. 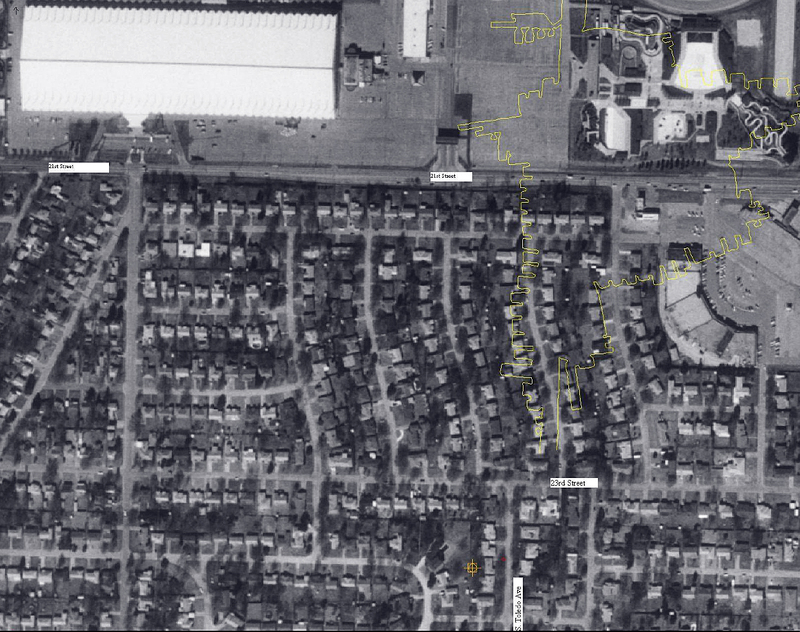 Anyway, now you can see that all of the rumors about the Fairgrounds, Sears, the baseball park etc being on top of coal mines are true. 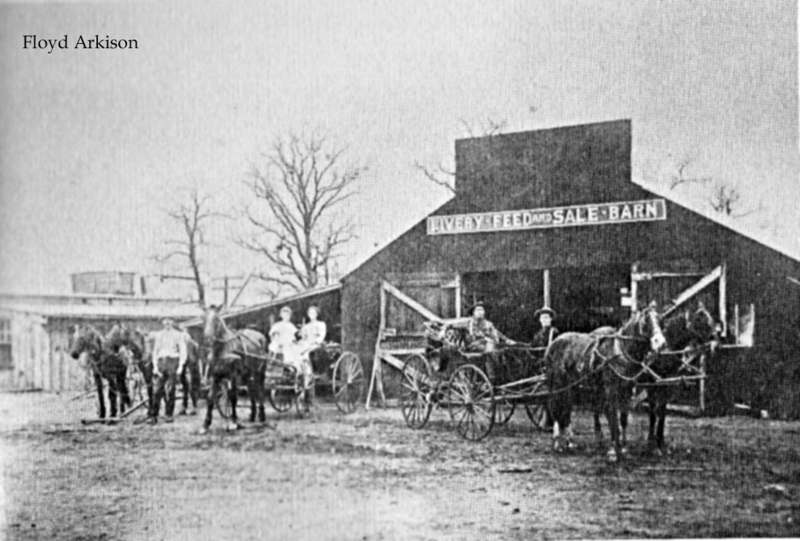 This was the Merchant Exhibit and Grandstand Building at the Tulsa State Fairgrounds. 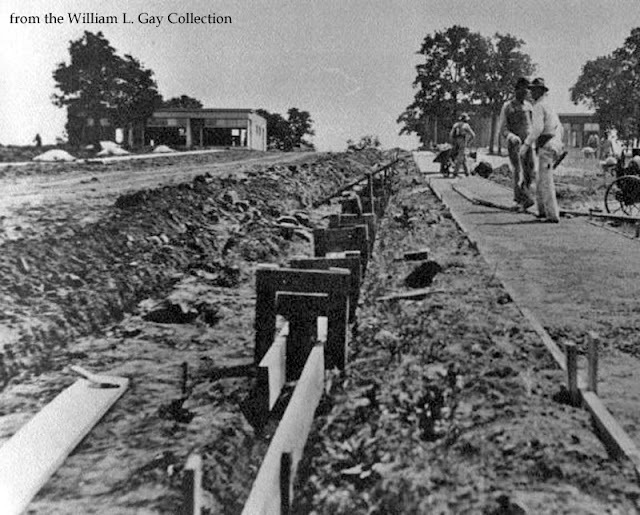 Designed by Bruce Goff, it was built in 1930 beneath the existing grandstand which was 685 ft long and 100 ft wide. This was the longest building of its kind west of the Mississippi River. The building was lost when half of it sank into an abandoned coal mine. Did you catch that last sentence? Yes, it sank into the ground! 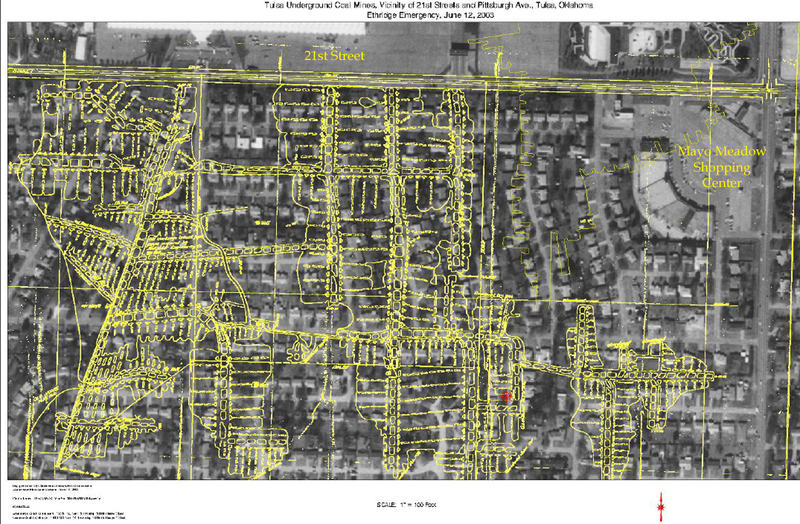 Much of that entire area, including where Sears sits, was used for coal mining. I plan on writing some about these coal mines in the future. There were quite a few.